Springtime is an excellent season to talk about weather. Spring pretty much has it all: cold weather in the beginning, windy days, thunderstorms, light drizzles, rainbows, sunshine, and (down here in the South) high temperatures! 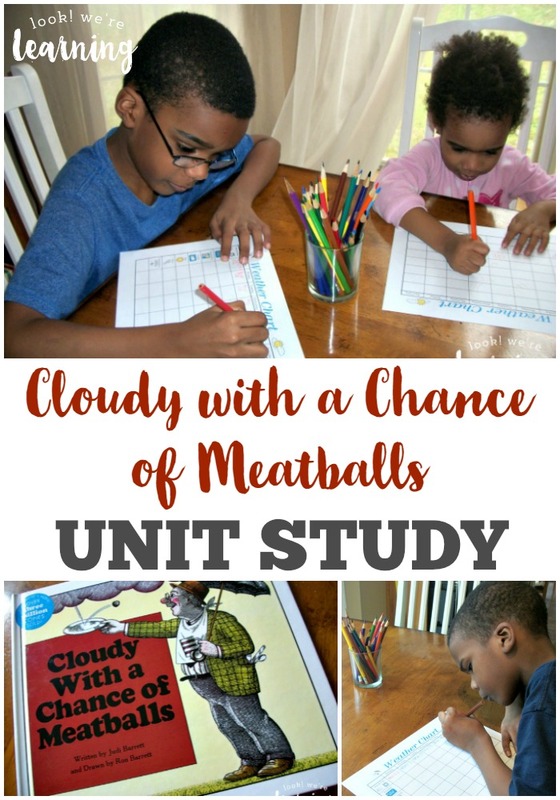 Since one of our family movie night features last year was Cloudy with a Chance of Meatballs, we made it into a weather unit featuring the story and weather activities! 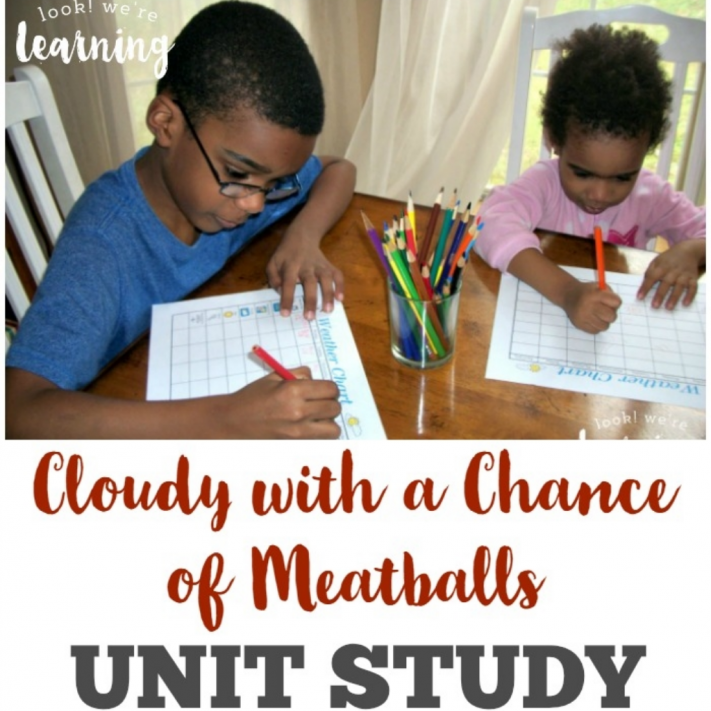 Check out our Cloudy with a Chance of Meatballs unit study – one of our fun homeschool unit studies! 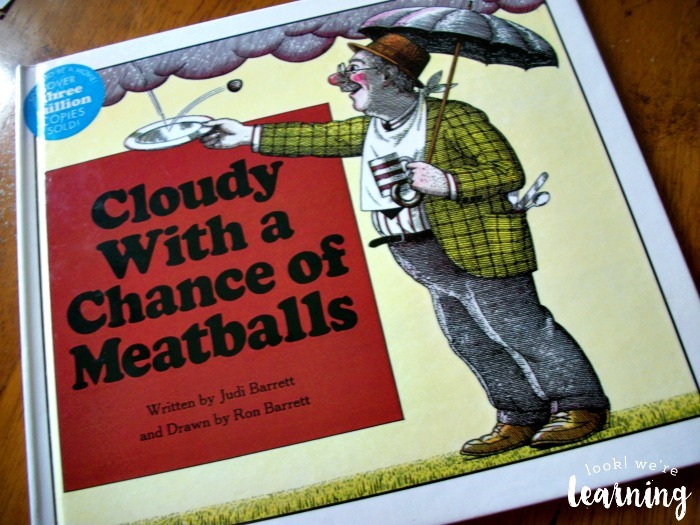 Of course, we started by reading the story Cloudy with a Chance of Meatballs by Judi Barrett. On the chart, you can note the forecast for each day of the upcoming week. Then you do a comparison to see if the actual weather is close to the forecast. Ours ended up being pretty close. 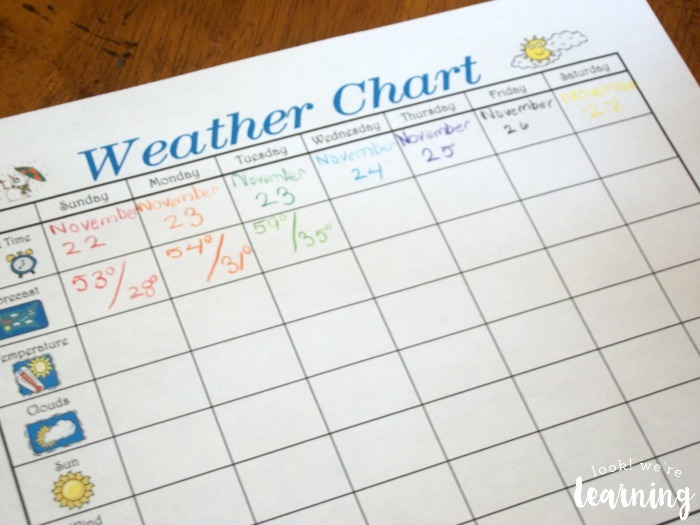 What I really like about this chart is that you can use actual temperature readings, weather words, or just let the kids draw pictures. It’s easy to adapt it for everyone’s level. 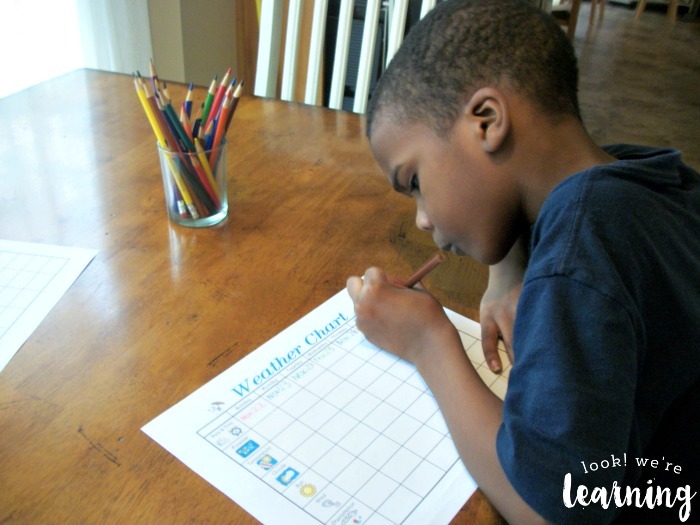 How do weather forecasters predict the weather? After our discussion about weather, we watched the movie Cloudy with a Chance of Meatballs. 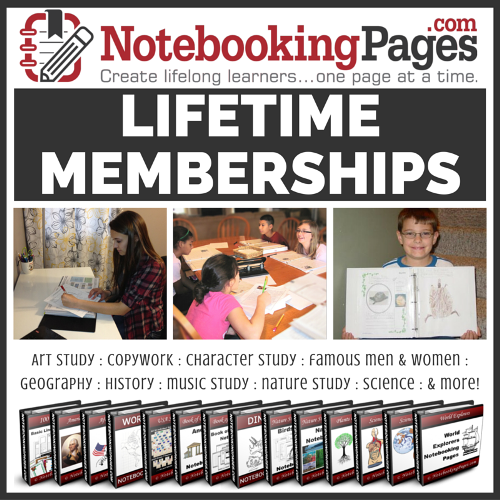 And that sparked a lively discussion about how books often differ from their movie versions. The movie was wayyyy different, but still good. Plus, it featured a wonderful message for young girls to be comfortable with themselves, even if they’re “nerdy”. I loved it. 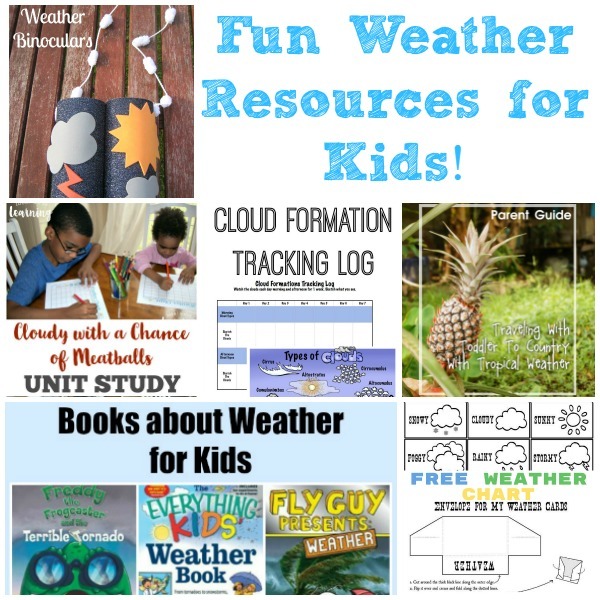 For more weather learning fun, check out these weather lessons for kids! 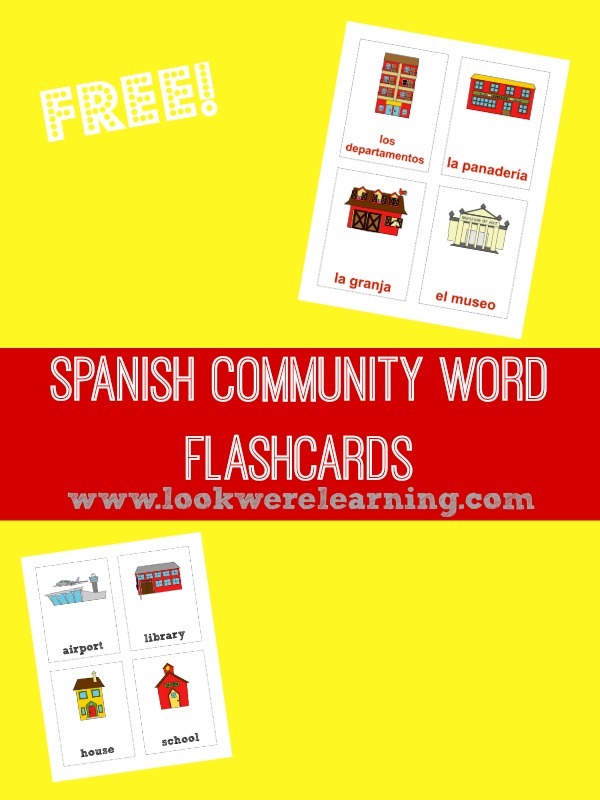 And to learn more about what makes up a town, grab our Spanish community word flashcards! 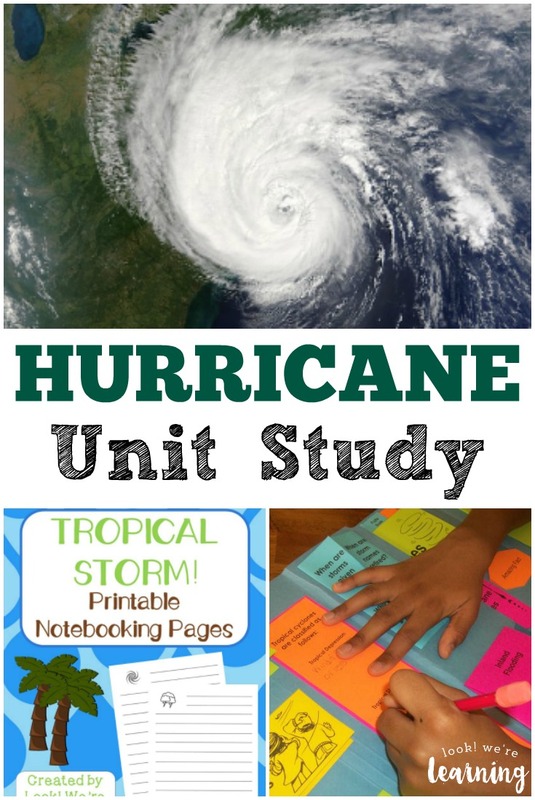 Don’t miss all of our other unit study resources on Pinterest! 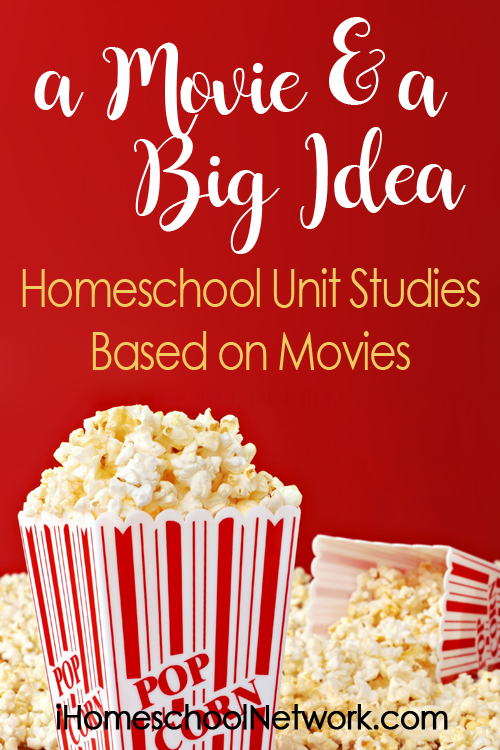 This post is part of the Movie and a Big Idea linkup from iHomeschool Network! 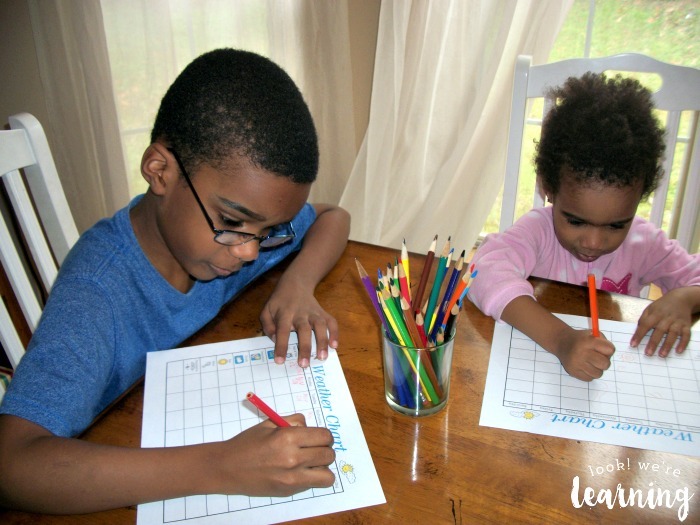 Click over to read more movie-themed activities for kids! Tried to download the unit study and the link took me to Amazon to purchase the book. 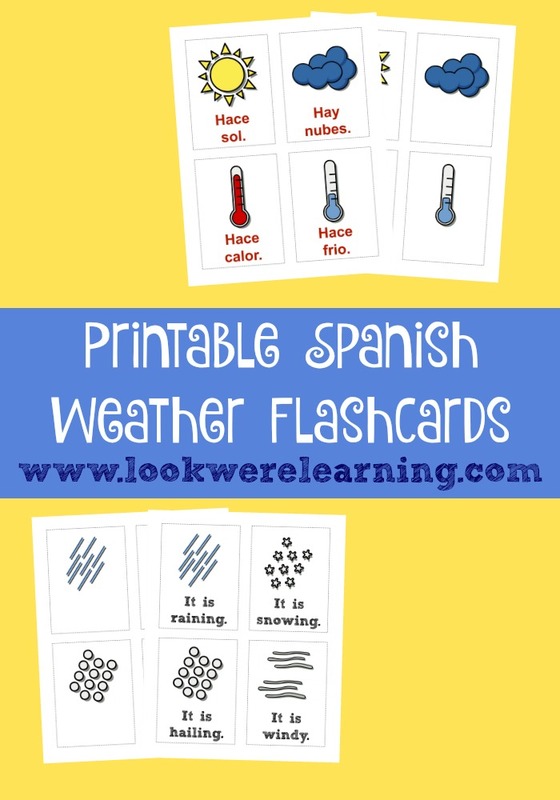 This is one of my grandson’s favorites and I was thrilled to find this as a way to study weather!